ayam Ravi (born on September 10, 1980 in Chennai, India) is a Tamil Cinema actor. His father is Mohan, an editor, his mother is Varalakshmi. He has one brother, M. Raja, who is a successful director, and a sister, Roja, who is a dentist. Ravi was first schooled at Jawahar Vidyalaya in Ashokknagar, Chennai and later at the Loyola College, Chennai and earned a Bachelor degree in Visual Communications. He studied dancing with the Bharatnatyam dancer [[Nalini Balakrishnan and performed his arrangetram (debut) when he was twelve years old. He has also undergone training in acting with Kishore Namit Kapur Institute, Mumbai. 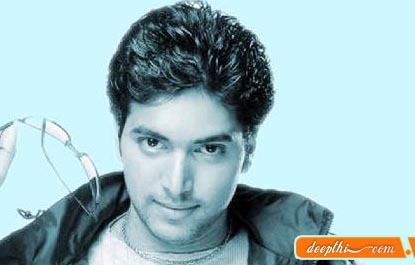 Jayam Ravi is one hero who has the conventional good looks and has undergone all formal training to become an actor. He debuted with Jayam, released in 2002 produced by his father editor Mohan and directed by his brother M.Raja. (Hence, the name 'Jayam' Ravi.) His next venture was M Kumaran Son of Mahalakshmi in 2004. Then came Daas,Mazhai, and Idhaya Thirudan. Something Something ... Unakkum Enakkum which is the remake of the Telugu hit Nuvvostanante Nenoddantana is all set to hit the screens this July (2006). Trisha is reprising her role in the Tamil version along side Ravi. With the magical combination of the director-brother duo,many believe that the success will be repeated. He has also been signed to play the lead with upcoming actress Bhavna in the film titled 'Deepavali' to be directed by Ezhil and this film is being produced by the successful director Lingusamy. This is Lingusamy's first production.